I featured this a couple of years back: gloriously of its time and gloriously seedy. Oh France. How I love thee. Mind you- the woman sounds a bit exhausted: in this Olympic season, she may well have been running. A lot. Something I picked up in France, cheap (my main criteria). I have happy memories of putting it on, driving through sunlit fields, a baguette in the back of a car and feeling like a tres stylish extra in a Jacques Tati film. I never did look in a mirror to see what I actually looked like. 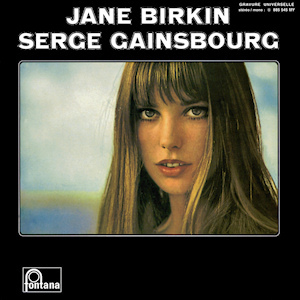 Pure late 60’s nostalgia, even if, despite it being over 40 years old I doubt whether I shall ever use ‘Je t’aime moi non plus’ in worship just yet…..